The EVF-DC1 Electronic Viewfinder offers an XGA LCD with a 2.36MP resolution and displays all shooting information found on the camera's LCD screen. 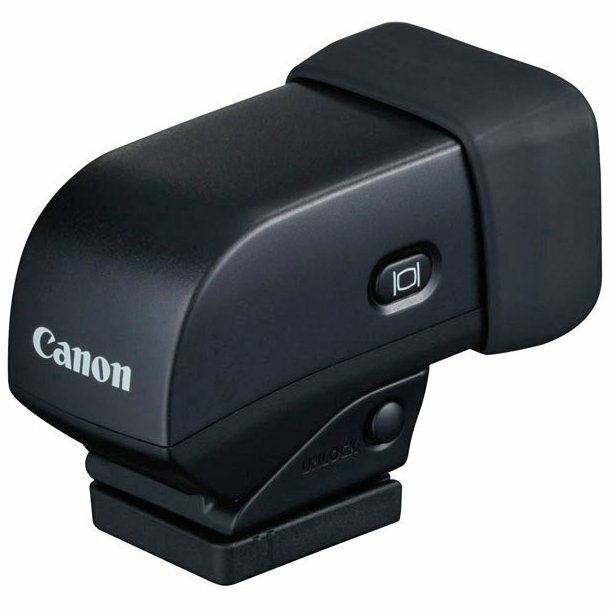 Mounted easily on the camera's accessory shoe, the electronic viewfinder features a high eyepoint, a dioptric adjustment range of -3.0 to +1.0, and 90° upward tilt capability, helping to enable steady shooting even on an angle. The camera can be directed to switch automatically between the LCD and the viewfinder with an eyepiece sensor or can be set manually with a dedicated button. Brightness can be set independently from the camera's monitor.